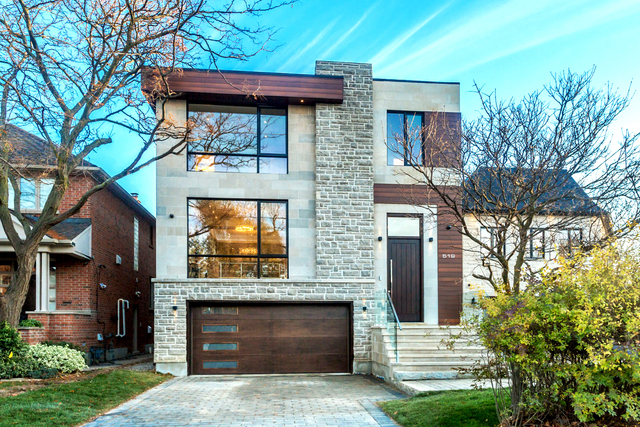 Six months ago we hired Briks Design-Build Group to undertake an extensive renovation and addition to our older, three bedroom home in Toronto. During the six months of our project, we got to know the team at Briks very well. What sticks out the most to me is that Briks is a company that truly cares about its clients. During our project as issues arose - they always do :), the team at Briks always tried to see the issue from our perspective and tried their best to solve it to our satisfaction. One thing in particular that comes to mind is the glass wall we wanted to install for our staircase, but we had gone over budget. The Briks team gave lots of thought to this problem and came up with a way to do it without charging us any extra. We now have a beautiful staircase that everyone who enters our home admirers! One of the reasons we chose to work with Briks was we were told by one of their previous clients that the Briks team is excellent about sticking to timelines. And, I have to say that Briks did not disappoint us! We were told our reno and addition would be 6 months, and that is exactly how long it took. When the team was behind schedule they ended up working late to make up the time. We appreciated their hard work and dedication. We now live in the home of our dreams thanks to Briks! We are very happy with our remodeled kitchen and bathroom done by BRIKS Construction! We did a full gut and remodel of the 1960's original kitchen and bathroom in our house. Since this was our first remodel experience, we didn't have much experience picking out tile, fixtures, etc. The interior designer offered great advice and got us pointed in the right direction! Once we started the renovation, our Project Manager kept us up-to-date weekly on progress, schedule and any decisions we were needing to make. The overall experience was smooth and hassle-free. We are extremely happy with the outcome. Thank you team BRIKS! We hired Posche to renovate our kitchen and master bathroom, and to sand and re-finish our hardwood floors. From beginning to end, we could not have been happier with our experience with Fahd and Danyal. They were at all times professional, communicative, responsive and respectful. The job was done on time, within budget, and the finished product is simply beautiful. Renovating can be so stressful, but the Posche team took care of coordinating all aspects of the job, and always made us feel that we were in great hands. We recommend them highly. Thank you for the kind words Cherie, and it was a pleasure working with you and your Family. You were a set of clients that we felt proud to work with achieving your goals for your remodel. Once again, thank you for a glowing review, and please do not hesitate to contact us in the future for any of your other remodeling needs. From the very beginning of our experience with POSCHE Design & Build, the communication was great! Our initial contact was via emails but once the home renovation started we were in regular contact with our Project Manager. It was very reassuring to know he was there to answer any of our questions or address our concerns. When issues came up during demolition, as they are bound to, our Project Manager worked hard with us to find the best cost-effective solution and made sure we were promptly updated with any changes. We were also impressed with the quality of work. From the designer who worked hard with us to create a beautiful vision within a complicated space, to the trades who turned that vision into a reality. They were all very pleasant, knowledgeable and patient with us. They all took the time to answer our questions and discuss the work they were completing. We always felt fully informed and never felt we were being disruptive. They were also all great at brainstorming with us and the Project Manager when problems arose. Our Project Manager was great at having all the trades scheduled to come and do their work. Our project was completed beautifully and on time! Thank you POSCHE Design & Build! Thank you for the kind words Mike, and it was a pleasure working with you and your Family. It was a pleasure to work with Posche Design Group. The team was very professional and friendly. The management truly cares about their customers and take time to build relationships. I'm very impressed with the level of quality they have provided In my home renovation. 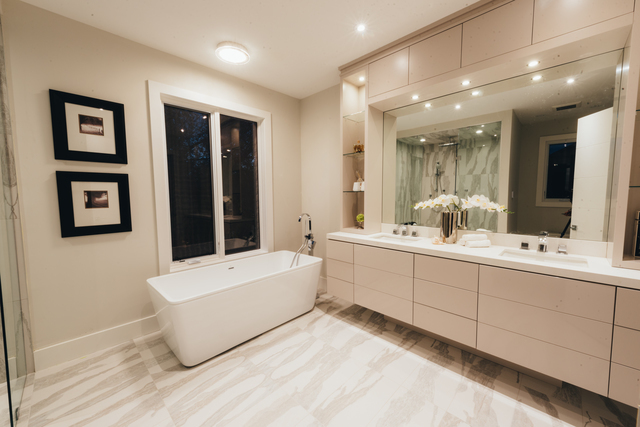 They provided helpful insight towards the renovation, which consisted of bathroom and kitchen remodeling. I'm very pleased with the final outcome. Thank you. Look forward to working with you in the future as well. We are extremely pleased with the value received, and in particular with the quality of work and the responsible attitude of not only the project manager, but also his employees and subcontractors. Any issues were dealt with promptly, professionally, and to our satisfaction. Thank you for a job well done! Thank you for the opportunity to remodel your home. We are glad you liked the finished product and that our Designer was able to accommodate your wishlist and keep it within the budget your family initially had. Enjoy your new living space. Highly Profrssional people with great experience. definitely, i will recommend them for any home renovation, kitchen design and/ or any kind modifications in your home. They are cooperative and cost effective. Thank you for your review and feedback. Please keep us in mind for any future remodeling needs. POSCHE. 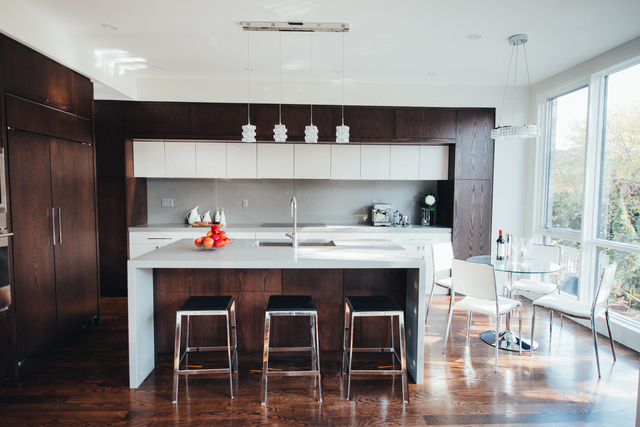 Design & Build was absolutely wonderful, we had a complete kitchen remodel and are completely satisfied. Fahd and his team were prompt and professional and had a great eye for detail. The layout used every available inch and we love the way it turned out. Communication throughout the process was fantastic, we knew we could contact the project manager at any time. We would highly recommend POSCHE. and plan on using them in the future. We are glad you love your new Kitchen. We have to thank our team and Interior Designer, Hilda from One X One Design, that turned your vision into a beautiful and practical kitchen you see. The white-on-white Caesarstone and herringbone backsplash, worked well with the overall look of your space. It turned out great in the end. Thank you again for this wonderful referral. Thank you POSCHE. Design & Build for transforming my outdated 1970′s kitchen into a beautiful, functional one that I will actually enjoy cooking in. I was greatly impressed with your professionalism, guidance and patience during all phases of construction. Your Interior Designer did a marvelous job of drafting the computer imaging, and detailed plans. The quality of work was superb and I am still amazed how quickly the renovation and our remodel kitchen, was completed in. It was a pleasure putting together the Kitchen Remodel package together for you. I know our Designer, Hilda, did a wonderful job of incorporating all usable space and functionality, within the vision you had. We owe these wonderful accolades and inspiring reviews, to our loyal and hard working team ,that we have built over the years. Enjoy your new Kitchen. Quality, price, customer satisfaction and finishing on schedule were my criteria in choosing POSCHE. Design & Build Group and they certainly did not disappoint in any of these categories. I was very impressed with the project manager and the friendliness and assistance provided by all POSCHE. tradespeople. I have no hesitation in recommending POSCHE. to any prospective purchaser who wants a quality home. Thank you Zack for the wonderful referral. It was a pleasure working with you and your family for building this luxury home. We did have weather permitting delays during the Winter, but ultimately we did manage to catch up for lost time. I am glad you are enjoying your home, and especially the backyard this Summer. The design of this home is truly a work of art. And ultimately,it is a beautiful addition to your Neighborhood. BRIKS (Verb/ Noun/ Adjective): Bespoke. The Art of Luxury, Redefined. 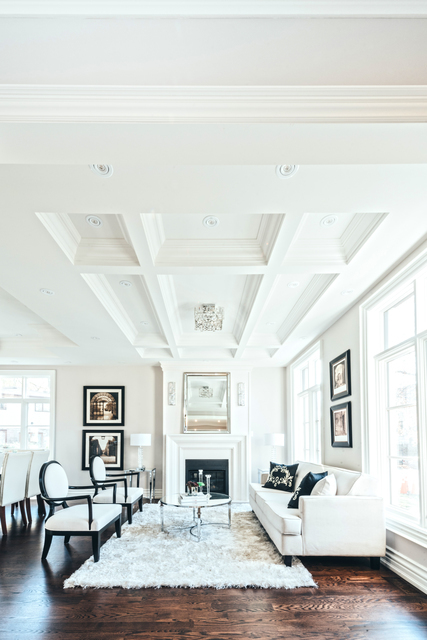 BRIKS Design-Build Group is a TARION Registered Boutique Firm, specializing in Luxury New Build Construction of Custom Residences. 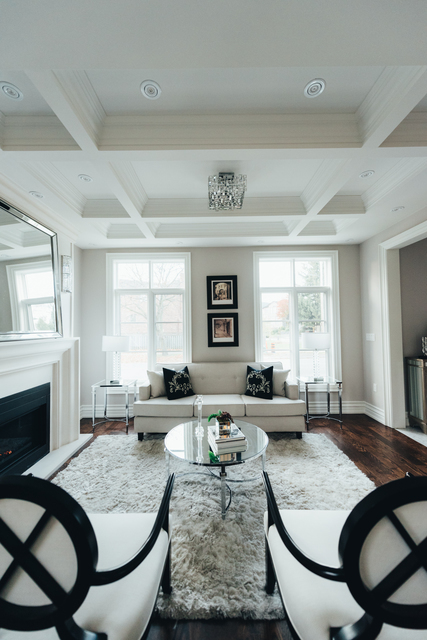 We offer a Full range of the Best-in-Class General Contracting Services, including Transitional Renovation and Remodeling, Kitchen Designs, and Interior Design for Residential and Commercial Clients throughout Toronto. The construction of your home may well be the largest investment you ever make, and is a huge undertaking. Simply put, this is not the type of job in which you can leave anything to chance. When you work with BRIKS Design & Build for your new and remodeling construction projects in the G.T.A., nothing will be overlooked. With our experienced team of renowned Architects, Interior Designers, Engineers, and Sub- Trades; we assure you that every detail of the construction project, from initial designs to site plans, and from construction to the materials sourced and used; will only be of the highest level of caliber that we work with. 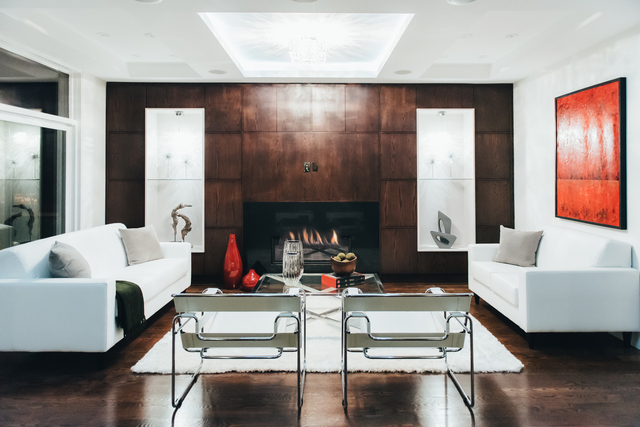 Whatever your vision of your new home may entail, our bespoke BRIKS team will ensure that it is fully realized. As a leading Design-Build Firm in the G.T.A. 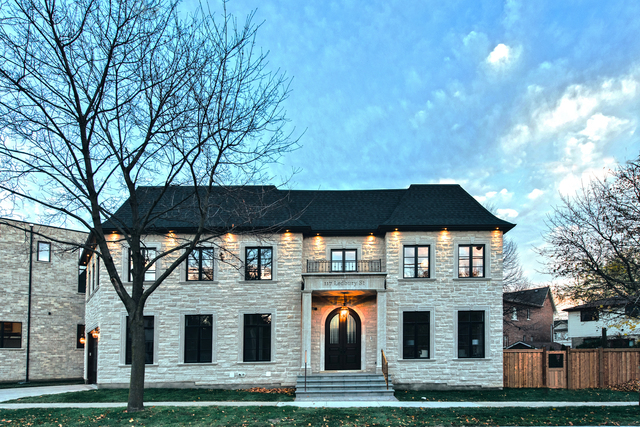 , not only do we provide detailed site and architectural plans from some of the most reputable Architects in Canada, but we also assist with every part of the building process. From applying for permits, to laying the foundation, to your BRIKS Pre-Delivery Inspection; we are truly your one-stop shop for all your construction needs. Over the last 20+ years, we’ve earned the trust of residents throughout the G.T.A. region, and we would love an opportunity to earn your trust and business.